School of Postgraduate Studies (SPS), Landmark University, Omu-Aran, Kwara State, is now selling forms for admission into its various postgraduate programmes (Ph.D., Master/M.Phil. and PGD) for the 2019/2020 academic session. See the requiremenst, courses and how to obtain LMU postgraduate form online (Doctoral programmes, Master Degree programmes and Postgraduate Diploma programmes). Applications are invited from suitably qualified candidates for admission into the Landmark University (LMU), Omu-Aran, Kwara State, School of Postgraduate Studies (SPS), various programmes for the 2019/2020 academic session. 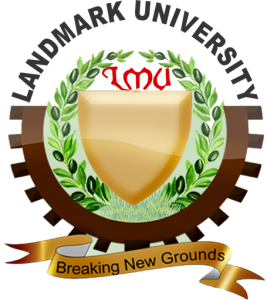 Before you proceed, check: Landmark University Postgraduate Courses Page.